The Blaze 800 is one of the the larger models in the series, with an 8mm steel removable baffle. The firebox features fully welded 5mm and 6mm steel with 25mm firebricks and a sturdy steel door with large ceramic glass. The 800 is popular for its efficiency and easy to use features. It can heat up to 28 squares (260m²), while still retaining a low emission factor of 0.88g/kg. It also has an efficient burning rating, reaching as high as 67%. More efficient burning means more effective heating, and the 800 extracts every calorie from the wood before distributing it as warmth throughout your home. 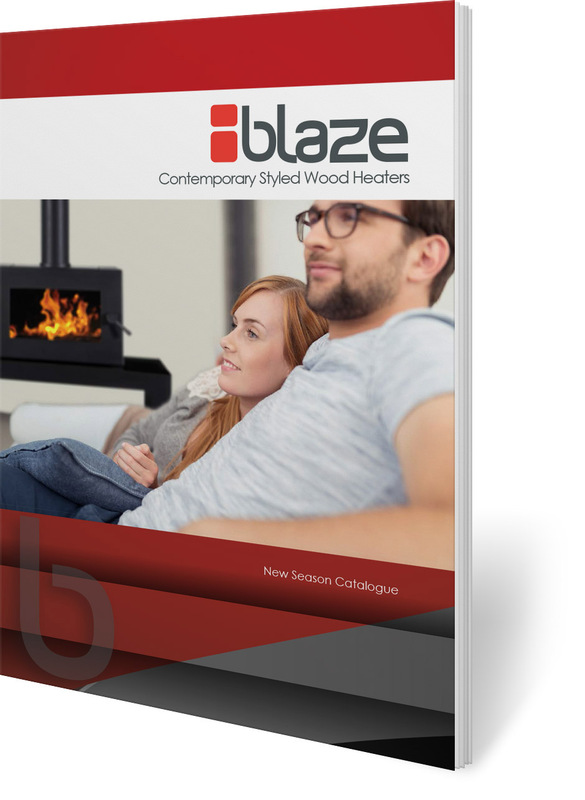 The hardworking Blaze 800 features impressive efficiency with amazing coverage, heating up to 28 squares (260m2) with ease. With an efficient burn rating of 67% and a low emission factor of 0.88g/kg, this popular unit extracts every calorie from the wood before distributing it as warmth throughout your home. As one of the larger models in the series, the Blaze 800 comes with an 8mm steel removable baffle and stainless steel brick retainer. The firebox features fully welded 5mm and 6mm steel with 25mm firebricks and a sturdy steel door with large ceramic glass. With simple clean lines and an elegant black matte finish, the Blaze 800 is compatible with a variety of interior décor styles. The stunning design and pentrating heat will make this the warm focal point of your home.